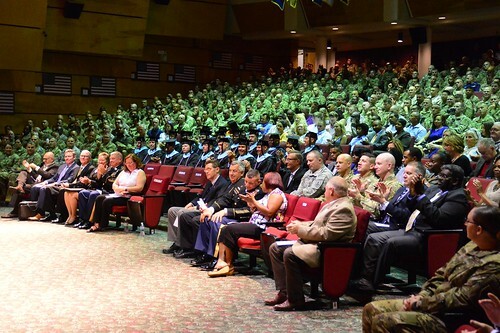 In August 2018 at Fort Bliss in Texas, I had the honor and privilege of participating in the graduation celebration for Cohort #3 Fellows program graduates. The USASMA Fellows from Cohort 2 celebrated with their colleagues at Fort Bliss in Texas in August 2017. Here is a news story and another … and below is the video of the ceremony. It was a privilege and honor to participate. The Lifelong Learning and Adult Education program welcomed visitors (including SGM Tim Magee, an honor student from the first cohort of 2015-2016) from USASMA on November 4, 2016 in Keller Building. The following day, Tim was interviewed by the Centre Daily Times. 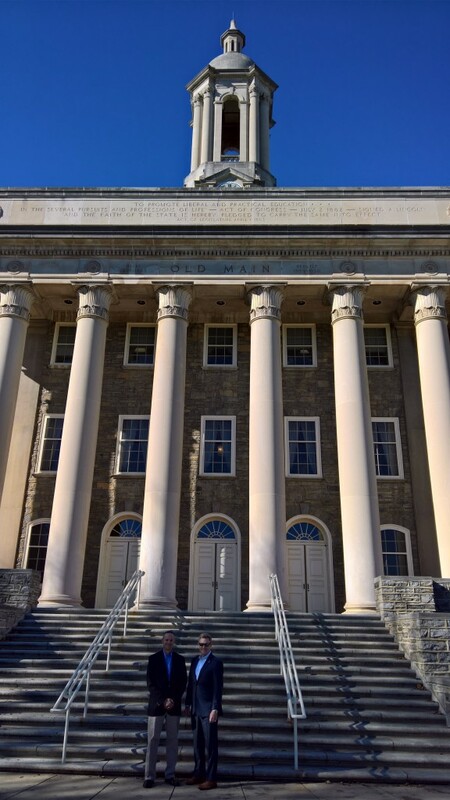 Click here to see the article: http://www.centredaily.com/news/local/education/penn-state/article112889553.html. The photo below is of SGM Tim Magee and Greg Bond (World Campus Military Director) at a stop at Old Main during a campus tour on Friday. 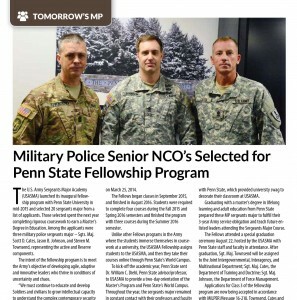 Here is an article in the Army Times about the first USAMSA Fellows 2015-2016 cohort that provides information for NCOs to apply for Cohort 3 (2017-2018 academic year). 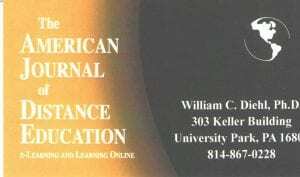 The article also provides some additional information on the experience of the inaugural group. An article (see page 32) on three of the Fellows who successfully completed the Lifelong Learning and Adult Education MEd as part of the inaugural cohort 2015-2016 appeared in the MRPA (Military Regimental Police Association) magazine. It was a pleasure to work with these accomplished individuals (and the rest of their USASMA Fellows cohort) throughout the year.